The best stainless cleaner on earth. Amazing... 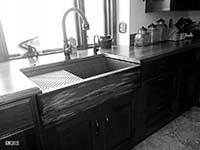 I hope you will consider joining our family of custom sink owners. I look forward to working with you. I promise you that the Stainless cleaner and conditioner will be the best product you have ever used on appliances and your sink. If you are not thrilled, call me and I will promptly refund your money. Folks, this is the most amazing stainless steel cleaner and protectant I have ever used. I can't think of any product that I have ever used that exceeded my expectations like this product. I am certain you will love this one! Over the years, I have purchased just about every kind of stainless cleaner on the market - with poor results. Either the cleaner did not really make the stainless look better, or it was so greasy that it looks like something that belonged in the garage. I have a 48" stainless steel refrigerator that has looked awful for years. My mother would occasionally say "I am glad I don't have stainless appliances" when she visited. I didn't blame her. I was about fed up too. That all changed when I discovered the only stainless steel cleaner and protectant on the market that is EPA approved. Yep, it is the only one approved by the EPA. Sadly, their approval gave me the impression that it would likely NOT work. I was very skeptical, to say the least. Boy was I amazed. This has to be my number one favorite product. My appliances always look brand new now. Check this out... only two to three sprays on a micro-fiber cloth and that will be enough for the entire kitchen. A bottle will last you for a very long time. This product must be used with a micro-fiber cloth or you will be disappointed. 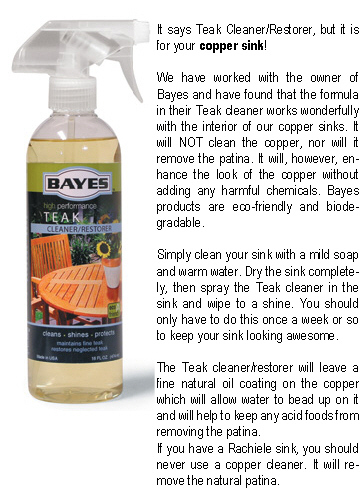 Bayes Teak cleaner and conditioner for your copper sink! We have looked for 10 years for a non-toxic product that can be applied to natural aged copper. We finally found a product that will make your copper sink look awesome. I, (Dino), have been using this on my sinks at home since March of 2009. It is absolutely amazing! This product will assist in preserving the patina on your sink if you use it regularly - one to two times a week. The process takes about 30 seconds. Just make sure you apply when the sink is dry. Try this copper conditioner, we are sure you will love it! This product is NOT necessary for maintaining our copper sinks. This product is NOT a cleaner. This is simply a dressing for that special occasion. Just like you might wax your car when you are having company, you can put this in your copper sink. 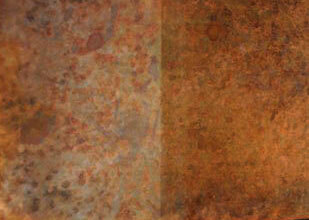 This product simply enhances the beauty of the weathered copper. It will do nothing to the apron of our sinks, hence you should not use it on the apron portion of the sink. Pricing includes shipping. (Cloth can not be ordered separately) You really do not need the micro fiber cloth for a sink. A paper towel will do just fine. By the way, if you have Teak furniture - this is easily the best product on the market! 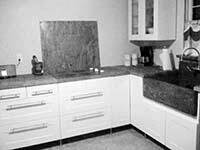 Stainless Apron patent for kitchen remodel removing countertops only. With proper care, your stainless steel appliances & fixtures will last a lifetime and continue to look like the day they were purchased. Unfortunately, many household cleaners contain abrasive or corrosive substances that may permanently damage your investment. 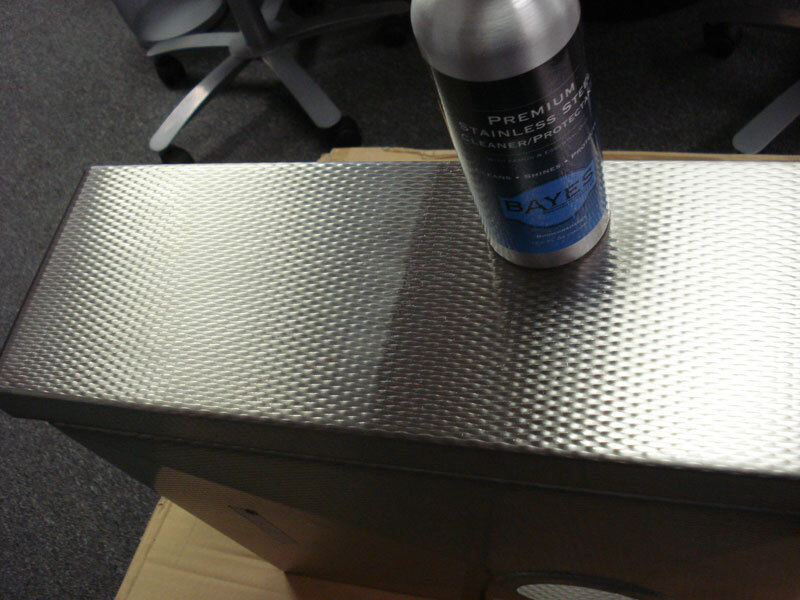 Bayes Stainless Steel Cleaner/Protectant has been specifically designed to safely clean stainless steel while leaving behind a non-toxic surface saving protectant. This micro thin oil based layer seals the surface from airborne environmental elements while virtually eliminating typical fingerprints and smudges. 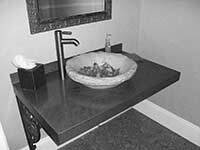 Daily cleaning is no longer necessary to keep your stainless steel surfaces always looking their best. If you have any stainless appliances (or sinks) in your house - do yourself a favor and purchase this. It is not available in stores as far as I know. Look at the difference this product made on the apron of our Millennia stainless apron sink. If this isn't the best stainless cleaner and conditioner you have ever used, call me and I will refund your purchase price. Bayes product makes the copper look richer (right). This is designed for the interior of sinks only. It is non-toxic and biodegradable. Rachiele is everything you need to create an awesome house design! Shop Now!